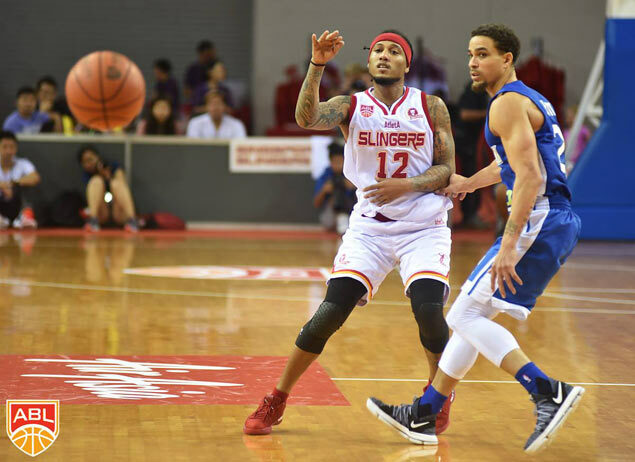 SINGAPORE Slingers guard AJ Mandani enjoying every minute of his stint with what he believes is one of the top organizations in the Asean Basketball League (ABL). After bouncing around the PBA, D-League, and the Thailand league, Mandani has found a new lease on life in his career with the Slingers as one of the Filipino heritage imports in the fledging league. Mandani said he feels right at home with the Slingers. “I feel that I’m adjusting well with the team. The players, coaches, and GM all hold each other accountable, have confidence in one another, and push each other to get better every single day,” he said. The 5-foot-11 Mandani is averaging 9.5 points, 2.25 rebounds, and 3.5 assists for the Slingers. The Fil-Canadian's best game this season came against Tanduay Alab Pilipinas last November 26 where he had 17 points in the Slingers’ 97-83 win over the home squad in Sta. Rosa, Laguna. Mandani cherished the moment of playing before Filipino fans again. Playing before family and friends, including pal and current GlobalPort player Kelly Nabong, made the game even more special, Mandani said. “For me, it was very exciting to come back and play in front of family, friends, and all the Filipino fans. I’m just really focused on the game. We knew it’s playing away in the Philippines, it will be a hostile environment and the fans will go crazy. "I was just really focused on doing whatever it takes to help my team come out with the win, whether if it was getting guys open, locking up on defense or whatever, I was just glad to help in any way I can,” said Mandani. The Slingers are currently in the middle of the pack with a 3-3 (win-loss) card, but Mandani expects the team to improve as the season progresses. More importantly, he likes where he's in right now. “We still have a lot to improve on and I’m enjoying the process,” the former PBA player said.